You Are Here: Home > Why Buy your Next Pre-Owned Vehicle from Us? If you are searching for a quality car, truck or SUV from an Orlando used dealership you can trust, you’ve come to the right place. 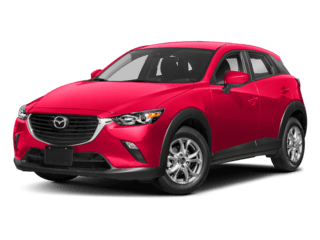 Don Mealey’s Sport Mazda in Orlando, FL is part of the Sport Auto Group, which has been providing Central Florida with quality auto sales and service for over 40 years. We’ve always placed the highest priority on customer service before, during, and after the sale. *Used Car Dealers to Avoid Online? Feeling Lucky? 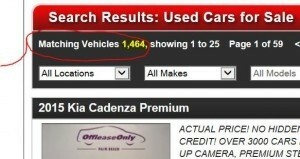 Typing “ACCIDENT” in this Local Online Used Website returned OVER 1,400 Vehicle Results… over 1/2 of their ENTIRE INVENTORY! 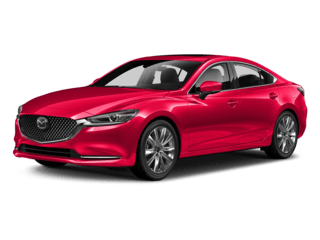 *DealerRater.com U.S. Mazda Dealer of the Year 2016, 2017, and 2018. Sport Mazda is the home of the Sport Certified Lifetime Powertrain Warranty on ALL new Mazdas and most used vehicles in stock. Most of our used vehicles are covered by this powertrain warranty giving you the ultimate peace of mind when buying. All other quality pre-owned vehicles come with our standard 30 Day coverage that is virtually identical to CarMax. Questions? send us a message. Not sure if the used vehicle you’ve picked is really the one you want? People change their minds. It’s human. That’s why we offer our used car shoppers a no obligation, 24 hour test drive. Take it home with you overnight. It’s how we ensure you buy the RIGHT vehicle at the right price! CarFax® 100% Accident Free – Shop At Ease! We will NOT advertise a vehicle with a major accident history, EVER! If it doesn’t meet our standards, we won’t list it. As a CarFax® Certified Dealer, we offer compete disclosure via a CarFax® vehicle history report, so that you can make a safe, informed decision about the vehicle you are about to purchase. Our dealership network spans across the Southeast United States, including the four stores local to Central Florida. It’s our duty to find you the perfect vehicle to fit your budget and needs. From scratch-n-ding cars under $10,000 to eye-catching pre-owned luxury vehicles, our used selection will satisfy all online shoppers looking for the absolute BEST online used car deals in Orlando, FL. When it comes to our used car buying process, the owner, Jay Mealey, is “hands on” involved and personally oversees it daily! From low-rate bank financing to leasing and everything in between, we have custom solutions for anyone in any situation. Our team of finance experts work with over 40 different lenders to secure you the most competitive financing available. Our pledge is to provide a service second to none when credit issues are a concern while always offering the most competitive finance options to ALL our customers.